Airbus: Will Louis Gallois find wriggle room to achieve the required corporate transformation? EADS faces a turbulent future as it seeks to resolve the deep-rooted problems within its Airbus subsidiary. The delayed announcement of job cuts has been met with worker protests. But the power 8 plan ducks the main problems. Airbus will remain uncompetitive unless Louis Gallois finds some wriggle-room to escape the stifling effects of its governance structure. 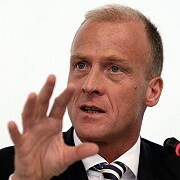 The main thrust of the story at Airbus emerging this week has been the eventual announcement of much-trailed job cuts. Despite much speculation, the outcome was largely anticipated in a brilliant piece of reporting in Der Spiegel some months ago. it took years before anyone noticed that the engineers in Toulouse and other locations had long since begun using state-of-the-art 3-D computer design programs like Circe and Gilde, while their counterparts in faraway Hamburg were still working with outdated systems. This discrepancy finally came to light when the first problems with fuselage wiring emerged just over a year ago, leading to a decision to use the newer systems in all Airbus plants in the future. Nevertheless, it is likely to take at least two years to retrain all engineers in Hamburg, and until then they will continue to use their outdated wiring design programs to configure the A380’s electronic systems — at greater effort and significantly higher costs. The article also highlighted the vulnerability of Airbus to the fluctuations in the US dollar, and pointed out that the possibility of shifting some production to the USA would help address the problem. It appears that former head Noël Forgeard rejected and ridiculed the proposal, although Gallois has signaled that he is well-aware of the issue, this week. The job-cuts are no more than a political compromise in face of the serious economic problems that the company is facing. But unfortunately, the restructuring plan does not address the fundamental problem of split production between Hamburg and Toulouse sites on its flagship project, and the issue claimed to have triggered the ‘restructuring’. The story illustrates the forces that can render powerless even the most deft and able leader. It can be argued that the EADS has been instrumental in arriving at a Byzantine form of Governance, and even in appointing a leader that had the ability to work within the system. It is a clear case of a company getting the leader it deserves. It is less clear whether the leader will be able to achieve the kind of transformation that would address even the short-term problems with the ailing and failing Airbus 380 project. As sometimes happens, the issues are relatively simple to the armchair strategist, in the shape of business journalists or business academic. The delays in production to the 380 arise from the split production lines and the financial turbulence of the dollar. Solutions have to address these points. ‘Equitable distribution of job cuts’ is arguably irrelevant. Creative re-framing of options will be needed to open up some wriggle room for the company. Is Airbus hard-wired for a crash? Delays in the vital Airbus 380 project have been identified around complex wiring problems. But the crucial problems may be the cultural hard-wiring of the parent company EADS revealed in the job-equity summit between Chirac and Merkel. My earlier account was ‘off-message’, if M Chirac’s statement is to be accepted at face-value. However, further reading of the reports in the German press suggests that that ‘perfect equity in the sharing of consequences’ is unlikely, and even less likely is there to be perfect harmony between French and German expectations. I had also bought the story from English press reports that the wiring at Toulouse had been a major source of the Airbus 380 problems. In contrast, a German report suggests that their Hamburg plant has been blamed for much of Airbus’s operating loss for 2006 due to the delays, and that some of the A380 production could be transferred to Airbus plants in Toulouse, France, which could also be the assembly site for the new A350. But these remain issues to be cleared up. More obviously, the political meeting was more about finding a political statement of harmony. This may not be unconnected with electoral campaigning in France at present. This seems to me to be an example of cultural hard-wiring in the company. I have modified the more familiar terms of hardware and software in cultural theory to suggest that the corporate rigidities, like the wiring of the Airbus 380, may be rather resistant to a quick-fix. The structure is closer to hardware than to software, more hardwired than softwired in nature. We will learn whether the company will announce steps to address its urgent technological problems which are key to its production difficulties. Or whether the stories will remain focused on the political dimensions of the company’s hard wiring. (No, I still don’t think Concord is the mot juste). Some predictions are still worth offering. Airbus is not in a position in which traditional ‘strong’ leadership can be expected to make a significant difference in the short term. Louis Gallois was not selected for such actions, and he may as well continue seek a consensus which permits the company to introduce its needed restructuring plan. This suggests that change will be that of the reasonable man rather than the progress which Bernard Shaw argued was achievable only through the efforts of the unreasonable and heroic leader. You are currently browsing the archives for the Airbus leadership category.